How do I request my TRACKING NUMBER? Is the unit ASSEMBELED? - How hard is it? How will I know when my item will be DELIVERED? Do you have FINANCING or lay-a-way? What is wells fargo walk in payment? Do I get a DISCOUNT if I buy more than one unit? What If I want to RETURN a unit? Do I need a Motorcycle LICENSE to ride scooters OR mopeds? Do you really have PARTS for everything? I paid with a Money Order, Cashiers Check or Personal Check. What Next? How do I request a TITLE? Can I CHANGE my color once an order is placed? What does 4 Stroke ENGINE mean? How soon do I change the motor OIL? What do I need to set aside for my order to PREPARE? Does the machine come with all the FLUIDS included? I am in CALIFORNIA and want to order. What does this mean? Where are your machines LOCATED? Where do they SHIP from? How many units do you have IN STOCK? I live outside the USA, can I order from you? I do not like the internet, can I ORDER over the PHONE? What do your ENGINES closely RESEMBLE? How LONG does it take to PLACE an ORDER. How do I do it? How often do I SERVICE my new purchase? How do I file a Parts / Damage / Warranty CLAIM? What SAFETY Features are on ALL machines? I need to find a service center! Can YOU help? 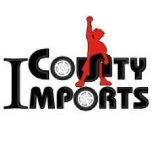 How long has CountyImports.com been in BUSINESS? How many UNITS does CMS SELL a year? HOW MANY EMPLOYEES does CountyImports.com have? WHAT ARE the service centers HOURS OF OPERATION? How will I know when MY MSO/ TITLE has been mailed? Do the ONLINE PRICES apply to your STORE? Who is responsible for sales on this website as of 06/2013? The unit I ordered has different features than I ordered. My Bike does not have a warranty on the product page? How does your 5 year ENGINE GUARANTEE work? We sure do! We have earned them and we keep an up to date recent testimonials page for you to view ant any time and watch them actually change to reflect our true progress. We love happy customers, this is what it;s all about! Please copy and paste the link below to your browser or look the the about us page on the top left our website. You can also locate the link tab on the left side below the product directory. 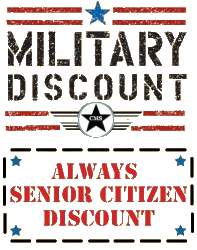 Everyone gets discounts! YOU MUST HAVE CODE READY PRIOR TO PLACING ORDER! ENTER CODE WHEN PROMPTED DURING CHECKOUT. NOTE: Coupons cannot be used together / combined and must be for machines only. As with all companies, once an order is placed, if you did not order with the discount you cannot later redeem the discount. This is because we use different methods of shipping and processing to save you the discounts you apply for. This means if the item has shipped already a discount cannot be given. 5.) To see all discounts offered please use this link https://www.countyimports.com/march_madness_sale 6.) 3% off your order total with Cash, Check, WIRE or Walk in Payment. Log into your account via the customer log-in page and in your order histroy/order details at the bottom of the page you will see the tracking posted there if available. If we are very busy and your close to CA chances are your unit may ship before tracking is available. We suggest you call your carrier 4 business days after email confirmation that your payment was processed. Here is a list of whom most likely will have your units on hand. 1.) Bolt the front wheel and calipers on. 4.) Fill the unit with gas and start the unit. 5.) After assembling the unit if you need further assistance you can email service@countyimports.com this is our online technical support email and they will help you as much as possible with your unit. In most cases 5-15 business days up to 21 business days during the busy months (MAY-AUGUST and OCTOBER-DECEMBER). The delivery time also depends on what warehouse we ship from, the size of your order, and your location. Other sites may take up to 6-8 weeks. This is why we are a better online store to purchase from. All dealers this summer are taking a little longer to deliver this is due to the new 250% sales (motorized scooters) increase and the gas crisis causing a new surge for alternative transportation here in America. As always we promise to process and ship orders as fast as possible! The faster delivery the faster you tell all your friends about us! Yes! We would not sell something that we could not repair ourselves. We want your business and your friends business as well. And the best way to get this is to support our customers as much as possible. Look at the top title bar for Warranty / Parts. Click there and scroll to the bottom of the page and fill out all of the required fields on the form. The manufacturer also requires pictures of any parts requested in the claim. We will take care of the rest. If the part number cannot be located please describe it on the form. Claims are processed in the order received to be fair and delivery of parts depends on the season and the in stock supply. Generally 1-2 weeks. Some rare parts can take up to 4 weeks. Please read carefully - Very, very, easy, simply locate the TITLE REQUEST PAGE at the top of any page on our website and complete the form. You can also call 877-300-8707 x2 for detailed instructions. Please note these are legal documents. These forms will be sent in order they are received. You must complete the title request form for legal purpose. This is for your protection and ours. MSO / MCO / TITLE delivery generally takes 1-2 weeks but can take up to 4 weeks during our most busy seasons. Spring and Summer are the busiest. Generally a -BILL OF SALE- will be allowed during this time while delivery of your paperwork is being completed. Visit the Dealers Wanted page and read the detailed instructions. You must be a registered business and recognized by your state to sell our products. We have a very large and fast growing dealer network. Join the team! Absolutely! We offer 24 hour live person order support for all customers. All orders must be registered on our website. Our live order technitions will do everything for you. Please remember the sale staff might not have access to your already placed order as they are a completely different department. In the owners manual there is a breakdown of what is needed and how often. Remember these are Honda Cloned engines and you should apply general maintanance for a standard 4 stroke Honda engine. Countyimports.com has also put together a guide to assist you with what we feel is the best way to care for your new purchase. We tend to be a little more cautious but we all love our machines! Here is the link to help you download our booklet. We sure can! Please copy and paste the link below to your browser or find this link under our WARRANTY AND PARTS department on the right column. Courtesy or CMS! Who else offers this? This offer is for all customers who purchase from this website. In order to qualify for this trial you must be a customer of CMS. You must also complete mail via CERTIFIED SIGNATURE DELVIERY the terms of agreement within 5 business days from the date of purchase. Please click the link provided under the 2 week free trial image, complete and send in the requested docs. There is no restocking fee what so ever. The product however must be unabused and returned in its ORIGINAL PACKAGING. You must also contact our customer service for a RETURN AUTHORIZATION NUMBER for return. CMS will even arrange the return shipping trucks for you. CMS understands we are the premier online dealer and with this feature you too can try us our for yourself RISK FREE!. Restrictions do apply. Please read the full details before purchasing to ensure you understand the rules of the FREE TRAIL PERIOD. Noone beats our service. NOONE. If you need assistance checking your state and what is needed to register your machine or already know but would like to use our informaiton to read more about your state rules please use the links below to assist you. Compliments of CMS!